Fancy trying something a little different? How about making up this tasty dish? Preheat your oven to 220°C/425°F/Gas Mark 7. 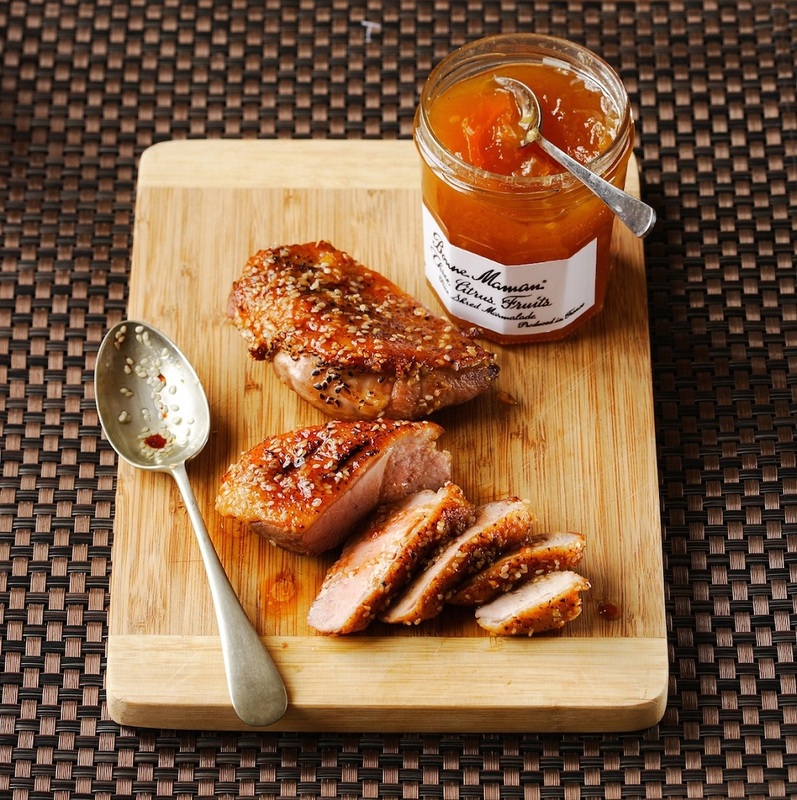 Slash the skin of the duck breasts then season generously and place – skin side down - in a hot dry frying pan over a high heat. Cook for 2 minutes then turn and cook for 2 minutes again. Meanwhile, in a small roasting tin mix the marmalade with the soy sauce and sesame seeds. Add the part cooked duck and coat well. Roast in the preheated oven for 10 minutes, then rest for 10 minutes before slicing. Drizzle the juices from the roasting tin over the meat and serve with potatoes and seasonal vegetables. Chinese Duck A L'Orange. Recipe and image courtesy of Bonne Maman.– (Hatchette Partworks Ltd) – 30 best-loved recipes, available through Amazon @ £3.50. Recipe development by Moyra Fraser. Image copyright, Bonne Maman UK. What do you think of this Chinese Duck A L'Orange? Bonne Maman is one of Britain's best-loved conserves, famous for its signature red gingham lids, use of simple, traditional methods and high quality, all natural ingredients. Chilled Desserts – Strawberry Mousse, Chocolate Mousse, Salted Caramel Crème, Crème Caramel, Crème Brûlee, Crème Caramel, Baba au Rhum, Vanilla Crème, Coffee Crème and New Dark Chocolate Crème with a Touch of Sea Salt. What a deliciously easy and elegant dish. Thanks for sharing at the What's for Dinner party - enjoy the rest of your week!